For todays Ask the Author I'm bringing you the marvelous Dahlia Adler, author of Just Visiting and other amazing YA and NA novels. I'm incredibly happy that she agreed to answer eleven of my questions for you guys. I think her answers are brilliant and only made me want to read her books more. Hopefully you'll feel the same! 1 – Describe Just Visiting with a haiku. 2 – What sparked the idea for Just Visiting? The simple idea of a friendship between two completely different girls or something entirely different? It was that simple idea, yeah. 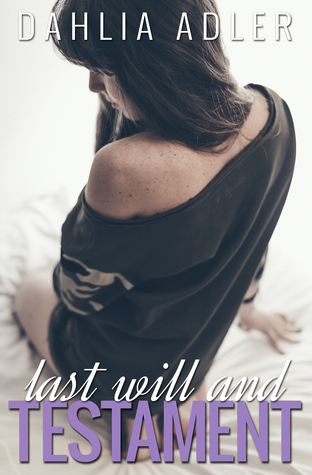 I read a whole rash of YAs where every BFF was more like a frenemy, and then I read one called Confessions of a First Daughter by Cassidy Calloway, and I realized I'd been bracing myself the entire time for a nasty moment between the friends that never came. And I was horrified that I expected terribleness to arise, especially since half that friendship pair was in a position of power. And I knew then I wanted to write a book where the friendship took center stage. 3 – What was the most challenging about writing Just Visiting and which scene was the most fun to write? A bunch of things were really challenging because everything was outside of my lane - Kansas, poverty, being Mexican-American, Deafness/ASL...even college visits; I only went on one! But for me, hurting my characters emotionally with things that are really beyond their control is the hardest, so that first scene between Reagan, her mom, and a neighbor was particularly hard. 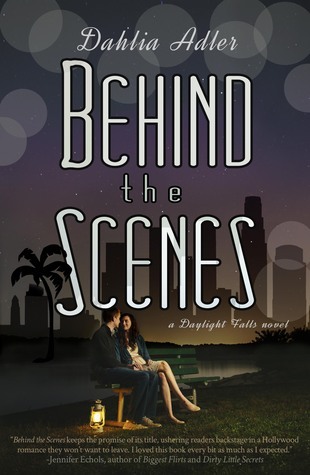 As for the most fun... my favorite scenes to write are always romantic ones, so there's a tie there between my favorite one of Vic's with a guy she meets on a visit and my favorite one of Reagan's, which I won't spoil but I imagine anyone who's read it can guess. 4 – Throughout the novel you discuss many different and important topics. Which are they and why do you think it’s important to talk about them? There's a lot I think we don't talk enough about in YA, especially when it comes to girls and their control over their own choices and bodies. I wanted to acknowledge how much power is actually out there for them, what they might not realize is or should be in their grasp, whether that's financial options for college, or alternative plans to college, or all matters of consent and contraception and sexual ownership... I hate that we're so silent about these things in YA, because they're all things that give teens power, and that's something I firmly believe YA should do. Ha, it's a very dangerous road for an author to go down to think about what they'd do differently. But the truth is, I am happy with how it turned out. And glad to be able to say that. 6 – Like many of us you stand behind the fact that we need more diverse books. Why do you think diversity is so important especially in YA? Everyone needs to see themselves in stories, to see that they have a place in the world and experiences worth knowing. I think we've been underestimating the value in that for too long, and the power diverse books have not only to increase empathy but to make people who might've seen like they're from a different world more familiar. Less Othered. People's bigoted opinions often do a total 180 as soon as they learn how that opinion actually affects someone close to them. Get them close to a book character who isn't like them as a teen, and maybe they don't grow up to be an adult with that bigoted opinion. It's worth a shot. It was really, really nervewracking in ways I didn't expect, when my first book came out into the world. When you've been writing your whole life, but no one has any idea what you're actually working on, people either assume it's amazing, because they like you, or it's amateurish, because they know you. Either way, they're finally seeing inside your head, and that's terrifying. Less so now that I've published four books, sure, but still. 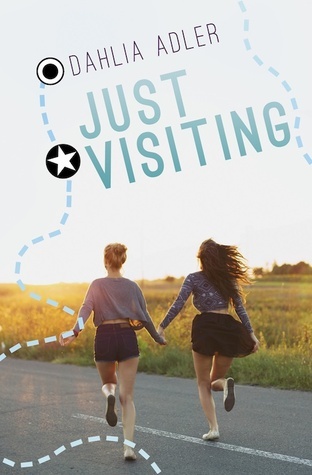 8 – What do you think about the cover for Just Visiting? I absolutely love my cover; I think everything about it is perfect. It's fun and friendship-y, rural and hopeful, golden and open, and I love the road trip detailing. My critique partner Maggie Hall is obscenely talented, and the fact that she can write books as well as she does and make covers this beautiful astonishes me to no end. I'm so lucky to have her. 9 – What are your five favorite reads of 2015 so far? I am really, really awful at answering this question, especially because I think 2015 has been a particularly phenomenal year for books, especially debuts. But five YAs that are definitely contenders are All the Rage by Courtney Summers, Making Pretty by Corey Ann Haydu, The Winner's Curse by Marie Rutkoski, More Happy Than Not by Adam Silvera, and Conviction by Kelly Loy Gilbert. Don't do this professionally if you're not willing and wanting to learn and grow at all times. You can't shut everyone and everything else out; it's just not a profession that exists in a vacuum. If you don't respect the advice and edits of other people, and you aren't interested in ever reaching outside your comfort zone, this is going to get really unpleasant for you, really fast. And boring, too. Teleportation. My closest author friends live all over the country (and in the case of one, in The Netherlands!) and while the Internet is great, a few hours spent talking books over drinks or at Barnes & Noble is even better! Plus, you know, no driver's license. 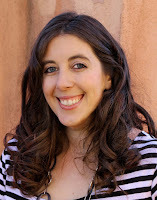 Dahlia Adler is an Associate Editor of Mathematics by day, a blogger for B&N Teens by night, and writes Contemporary YA and NA at every spare moment in between. She's the author of the Daylight Falls duology, the upcoming Just Visiting, and Last Will and Testament, as well as over five billion tweets as @MissDahlELama. 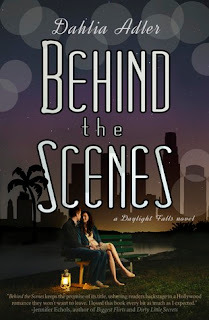 She lives in New York City with her husband and their overstuffed bookshelves.